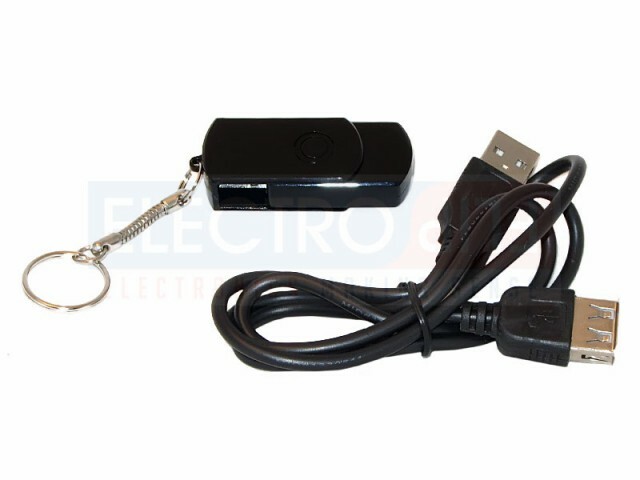 The SpyDrive is both a USB thumb drive and a cleverly disguised pinhole spy camera. 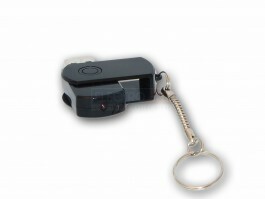 For secret, high quality audio and video from a useful, portable case, the SpyDrive is the ultimate tool. The next time you find yourself pulling out a smartphone or starting up a video camera to record footage on the fly, you’ll be wishing you had the SpyDrive instead. The SpyDrive doubles as a useful, everyday, USB thumb drive and acts fast to take footage when you need it most. 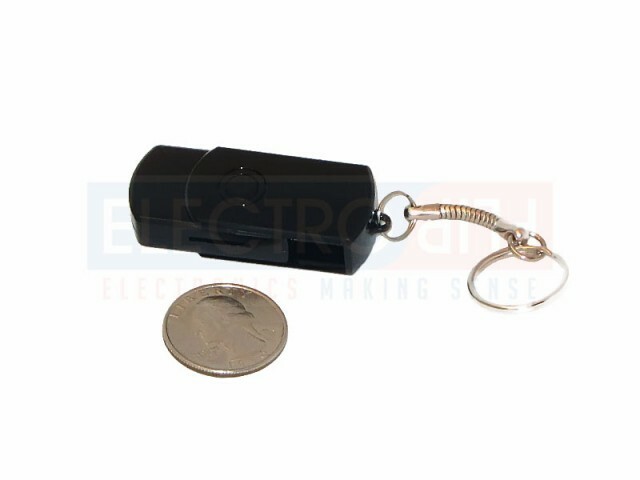 Clip this small, lightweight hidden spy camera to your key ring and use it to transfer files, giving it the perfect cover ID until you need to catch covert footage. Then just flip it open and point it in the right direction and press to record. The SpyDrive’s clever design gets it in and out of any situation completely unnoticed. 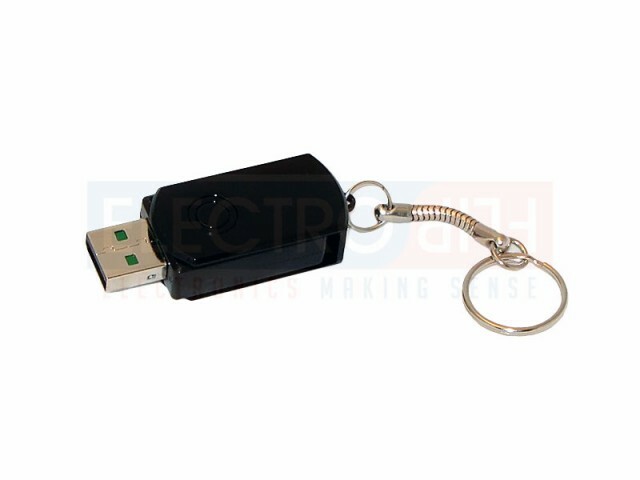 Light and Portable: The SpyDrive is only 1.75 x 0.75 x 0.4 inches, the normal size for any small USB thumb drive. 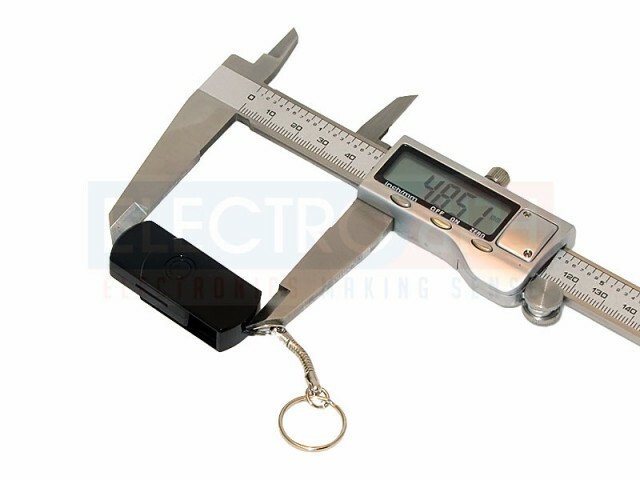 Clip it onto your key ring and keep it with you at all times. You won’t have to remember to bring your recording devices with you, and you’ll be able to get footage even if you’re caught unprepared. Records Video and Audio: The SpyDrive takes incredible, high quality .AVI video at 30 frames per second and 1280x960 resolution, and also records crisp 22 kHz audio. Quick-Flip Lid for Fast Filming: A flip-open lid covers the USB hookup on the SpyDrive, keeping it safe and clean in your pocket or purse. When you need to film, just flick it open press to record and go. 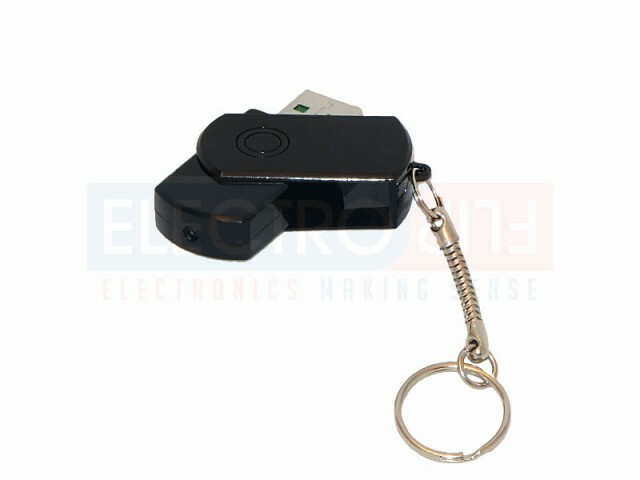 Rechargeable Battery: The SpyDrive’s rechargeable lithium battery gets power through the included USB cord, which can also be used to upload your videos. 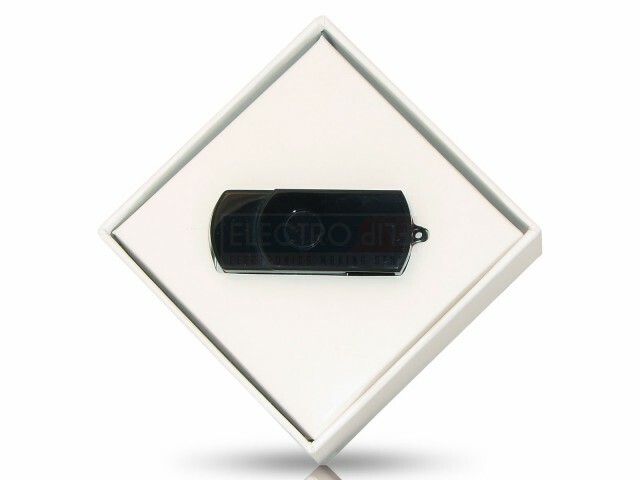 It gets a full charge in just 2 hours, and can last on that charge for weeks in standby mode. If you use the boost all at once, it will record for a full hour nonstop. Record & Charge Simultaneously: Unlike many devices this size, the SpyDrive can continue recording while it charges. Leave it hooked up to your computer and it can take 10+ hours of footage. 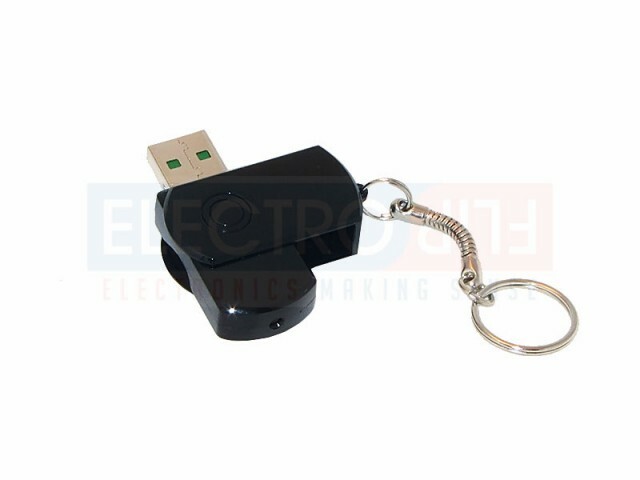 Double Agent: The SpyDrive does double duty, acting as a normal USB thumb drive until the moment it needs to flip into action, when it secretly records your subjects through an unnoticeable pinhole camera. Time & Date Watermarks: The SpyDrive automatically stamps all of your footage with the time and date. Auto Power Off: To conserve battery, the SpyDrive has the built-in feature to automatically power off after being left idle for more than one minute. MicroSD & MicroSDHC Memory: The SpyDrive uses readily available MicroSD/SDHC memory cards up to 16GB to store your files and videos. Perfect for Professionals: The SpyDrive is a neat gadget, but it’s also an extremely useful tool for a variety of professions. If you’re in the type of job where you could use a little backup, a little peace of mind, or might find the need to gather evidence on the sly, the SpyDrive is your new best friend. It’s already coming in handy for law enforcement officers, bounty hunters, private investigators, security personnel, and more. Easy For Anyone: You don’t have to be a professional spy to see the SpyDrive’s covert advantages, nor do you have to be technically skilled to know how to use it. You can hand it off to teens to get their bullies on record, adding a little extra security and comfort to their day. The camera is easy to operate and the footage is easy to upload onto any computer.